Hi everyone! This is GiGi from The Cricut Bug and I have a project to share. 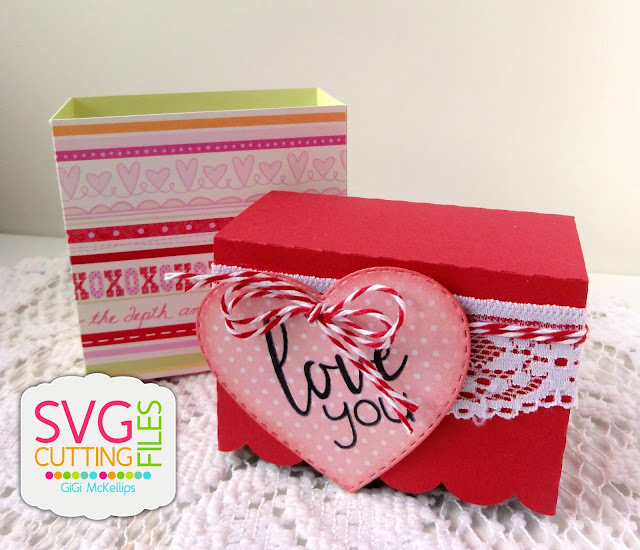 I used the NEW Scallop Lidded Box that will be available in the store today. This new box is super cool! I love the scallop lid to it. I cut out all the pieces from the Scallop Lidded Box using my Cameo and assembled it. 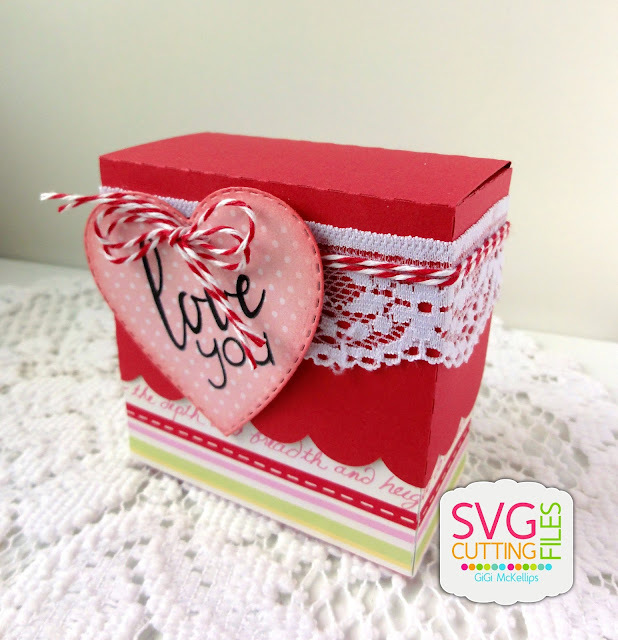 I glued on a piece of lace around the lid to add a little frill. 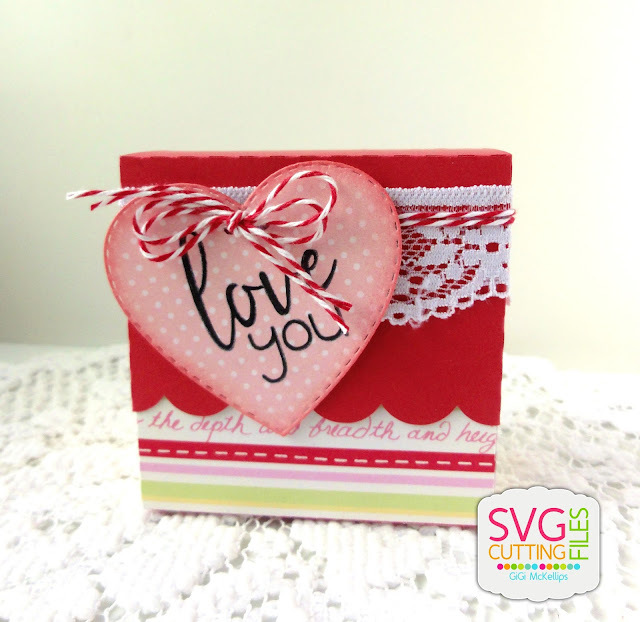 I stamped the sentiment from the Jaded Blossom Fancy Valentine stamp set onto a Heart Die 2 and tied on the lid using some twine. This is adorable .. I am really going to have a tough time deciding! !